Vietnam has been under international spotlight since the US-NK Summit as US President Trump further praises Vietnam’s emergence onto the global economic platform. 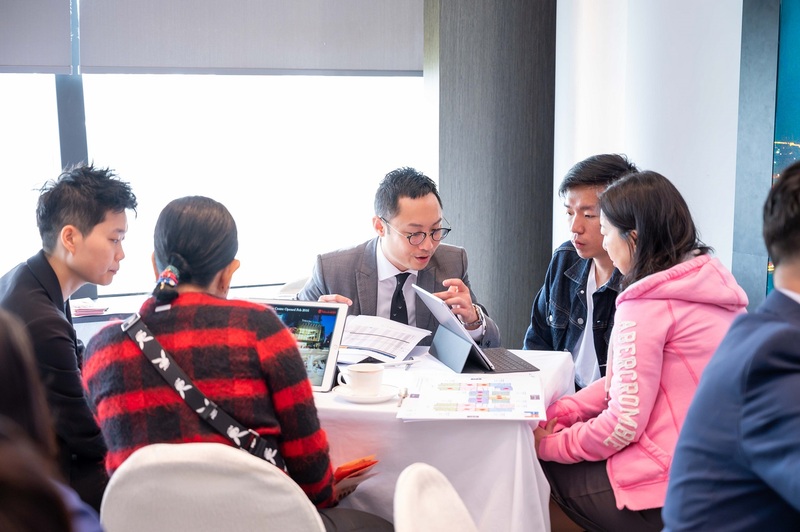 With the US- China Trade War in effect, a number of businesses have migrated to Vietnam to establish their production line. 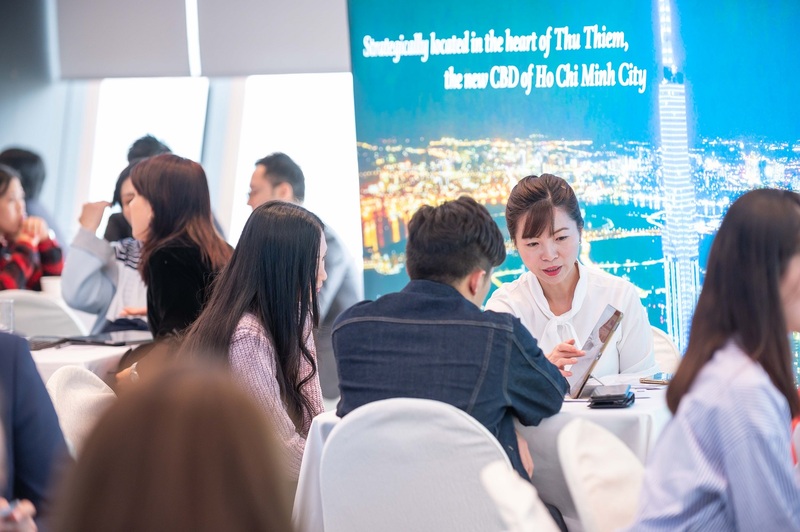 Ho Chi Minh City’s property market is especially reflecting the growing potential in Vietnam with markets along the upcoming rail system to soar in value. 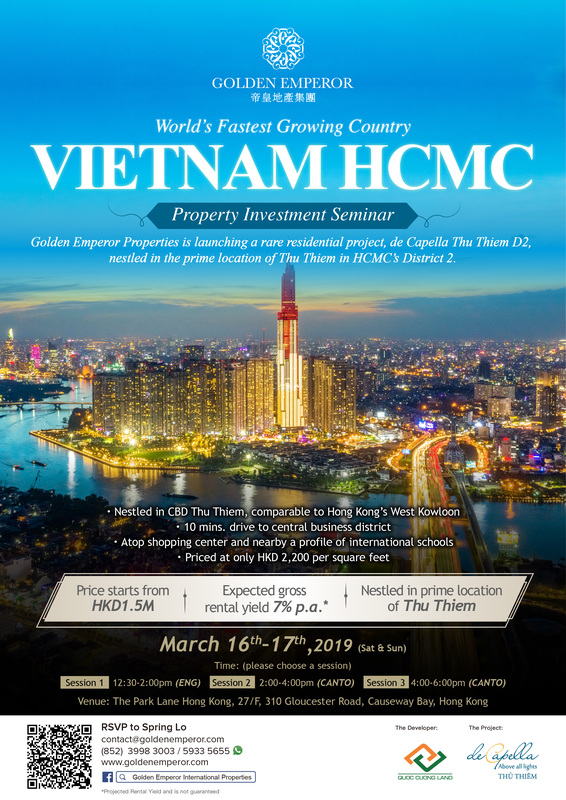 Golden Emperor hosted a Vietnam Ho Chi Minh City Property Investment Seminar over the past weekend and launched de Capella Thu Thiem, in the prime location of HCMC’s District 2. 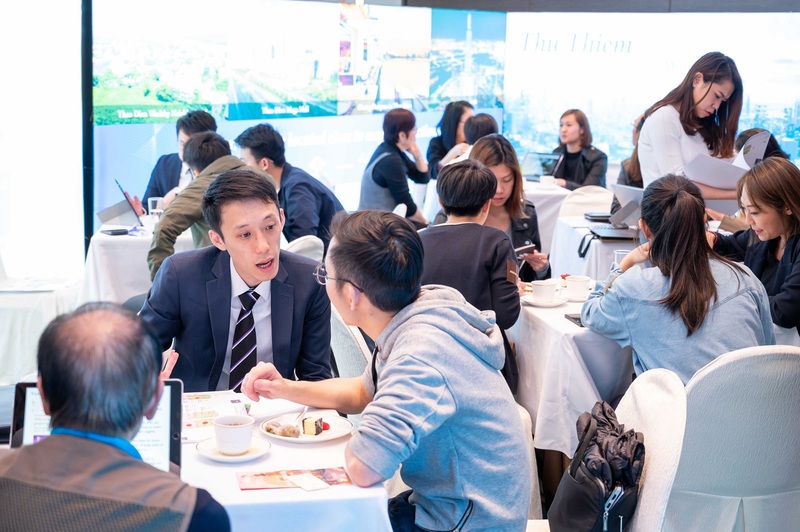 The event attracted a number of investors and buyers, reflecting the phenomenal investment appeal of de Capella Thu Thiem D2. 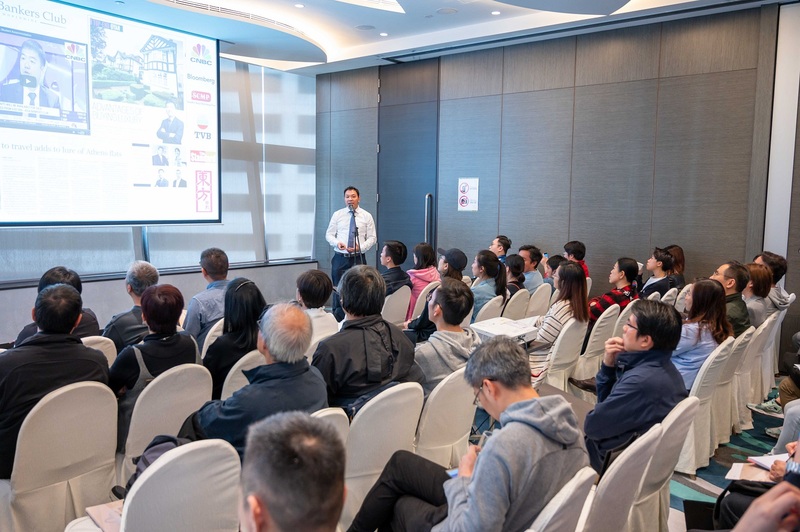 Photo Above: Mr. Terence Chan, Managing Director of Golden Emperor Properties hosted a discussion on Vietnam’s current market trend and Ho Chi Minh City’s upcoming and high potential investments. 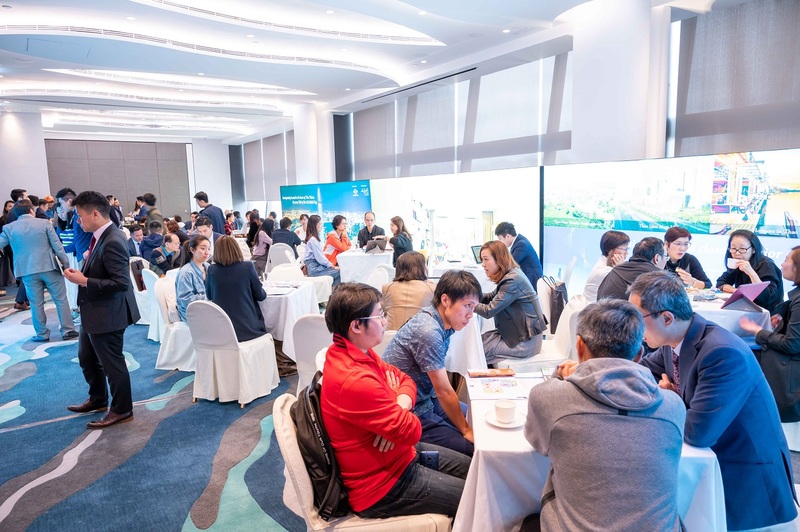 Photo Above: The event attracted a number of investors and buyers, reflecting the phenomenal investment appeal of de Capella Thu Thiem D2.